This September, Walters Gardens completed one house of their new acclimation range. The plan is to build three more houses starting next spring (April 2017). "The reason we are doing the construction incrementally is that we needed to tear down existing, outdated structures that were still in use, so we needed to stagger the build so it wouldn't interrupt production too much", says Karin Walters, Marketing Director of the company. In this 15,000 sq. ft. range and the future ranges, they will start their young plants. "We call it the Acclimation (AC) Range because this is where we will send our liners of freshly stuck plants either from tissue culture, unrooted cuttings, or seed to acclimate to the environments (also known as weening)", says Walters. "It is a significant investment that enables us to keep providing our customers the quality liner material that they demand," adds Troy Shumaker, COO at this perennial liner producing company. 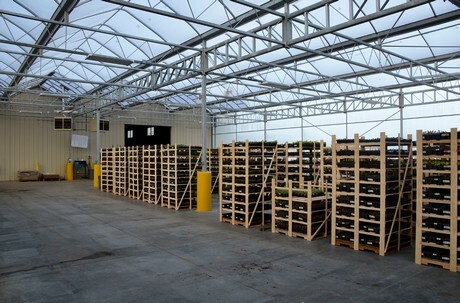 The range is a DeCloet Greenhouse Structures equipped with Damatex control systems and a Dramm cooling misting system. The structures are 19 feet tall, which makes it the tallest range they have. "It is about 5 ft taller than we have ever gone before and it is more in line with the industry standards", says Walters. And there is more. For the roofs, they have opted for diffused glass. "It was the most expensive option, but it also gave the most benefits. Better and more even light coverage for our plant, longer lasting material; approximately 30 years", says Walters. On their watering booms, they have the option of a fine mist for nozzles that can be adjusted. The misting system in the ceiling is for cooling the air temperature and adjusting the humidity, and the heated floors are a feature that they felt was a key missing piece to the growing process in some of their older houses. Below a video of the new acclimation greenhouse at Walters Gardens. And not only the propagation facilities has been and is being updated, the shipping space is too. "This was actually the first phase and this is the second phase of our three-phased project that is spanning a period of three years." 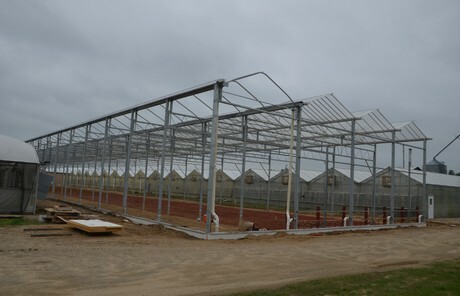 On January 4th the phase was completed and now consists of 2 DeCloet Greenhouse Structures totaling 8,064 sqft. These structures are now being utilized for shipping space. "This provides us with a controlled environment in which we are able to efficiently assemble and hold customers’ orders while maintaining high quality plant material prior to shipping," says Shumaker. 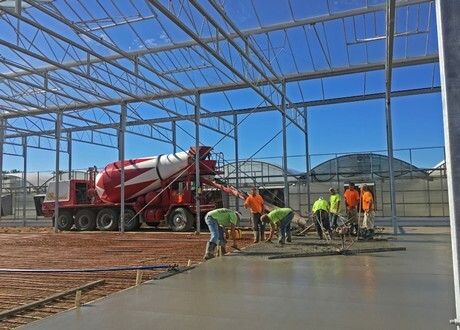 The next step is completing the third phase, adding 3 more DeCloet Greenhouse Structures totaling 45,360 sqft. 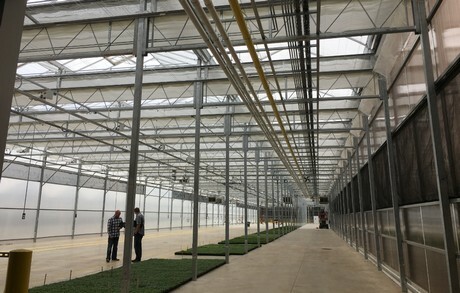 "These new structures will have heated floors, diffused glass roof with an anti-reflective coating, boom watering, a low pressure misting system to create evaporative cooling and either HPS or LED lighting." This phase will complete the replacement of their existing outdated propagation facilities." 2019-04-24 "Top shareholder won't back Bayer management in AGM vote"
2019-04-24 "In the Swiss horticulture sector, out of sight is out of mind." 2019-04-24 "Flood season has returned, but you can help protect your business with the proper insurance"